As part of our continuous commitment to sustainability and environmental responsibility, we participate in a Solutions-Based Customer Recycling Award Program (or S.C.R.A.P. 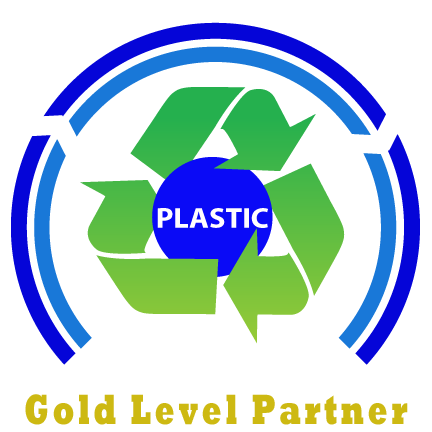 for short) to recycle our unused plastic materials. Through this exciting program, we are able to both benefit our bottom line and improve the communities we live and work in. We are very proud to announce that we have achieved a Silver Level Milestone by diverting 100,000 pounds of industrial plastic from landfills and look forward to many future opportunities to make a positive impact. Cope Plastics, Inc. has been recycling for over 20 years, but since establishing their solar-powered processing center in 2012, they are now making an extraordinary ecological impact. Their facility located on Humbert Road in Alton has recycled 3.7 million pounds of post-industrial plastic scrap and created new local jobs. Cope actually recycles 90% of the materials used in their business process, equating to 262,000 pounds of paper, metal, oil, cardboard, and electronics annually. In 2013 they implemented a single-stream program to provide over 100 employees from smaller communities access to recycling and diverting 200,000 pounds of post-consumer materials from landfills. Recognizing an unmet need in the industry, Cope has extended their recycling services to their customers across the Midwest, collecting over 500,000 lbs. of scrap in 2013 and 2 million lbs. in 2014. Their initiatives have been recognized by the International Association of Plastics Distribution (IAPD), who awarded them Best Recycling Program in 2013 & 2014 and Most Innovative Environmental Program the previous year. They regularly host community-wide recycling events with a focus on electronics collection and have become an industry leader, driving suppliers and competitors across the globe to ‘go green.’ As their environmental statement affirms, Cope Plastics is committed to making the world a better place.